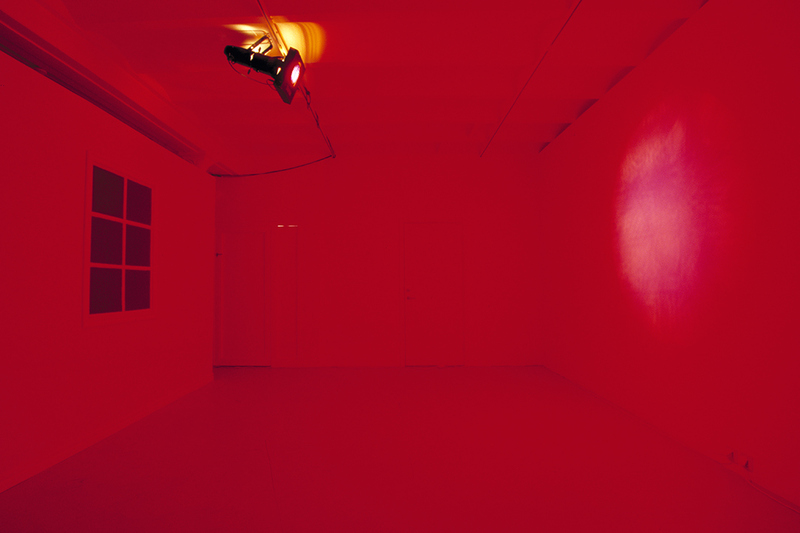 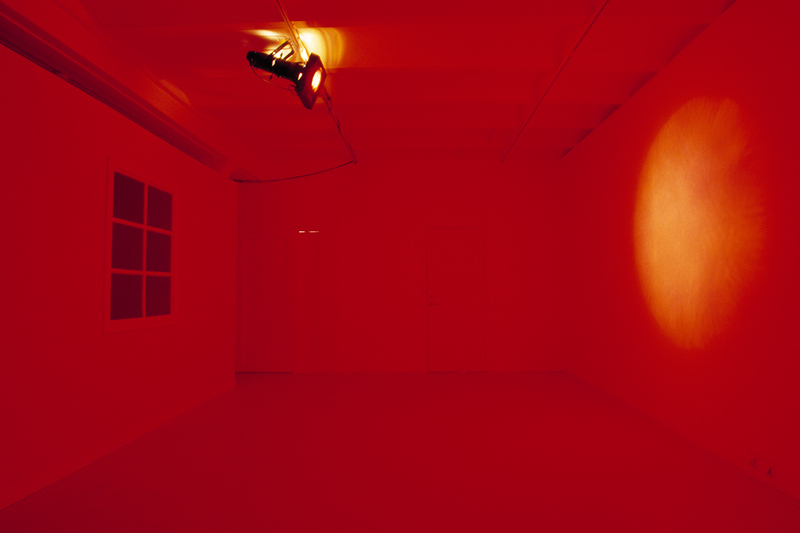 Artificial Landscape, Peep Gallery, Malmo, 2001. 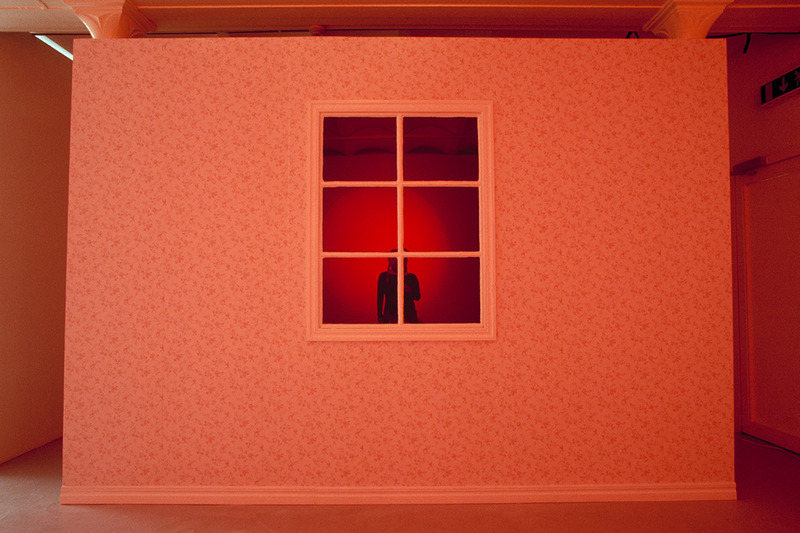 Installation consisting of a freestanding partition wall, covered with wallpaper, and a blacked-out Victorian window (mirroreffect). 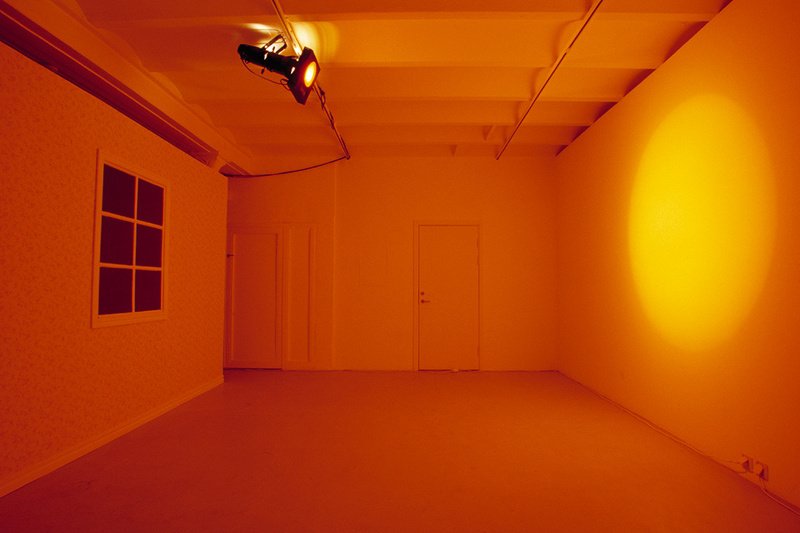 A stagelamp cast a round shape on the wall, that gradually changed colours from yellow to pink.